Vino, snacks and live muisc. 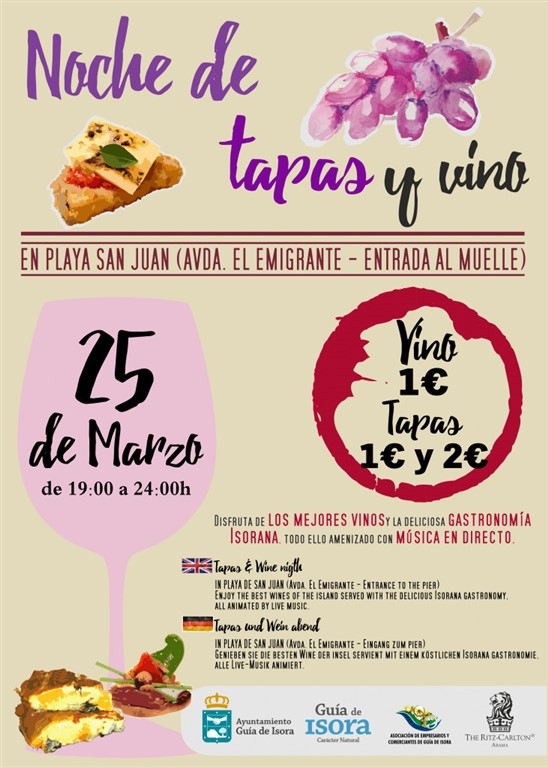 The Tapas y Vino night in San Juan is a popular annual event, which sees the pretty harbour fill up with visitors coming to sample local food and wine and listen to a live band. The numerous stalls see glasses of the islands best wine and hot and cold snacks from just 1 Euro. From 7pm - midnight.